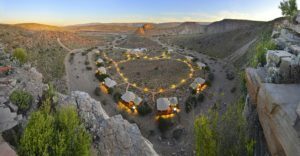 Sanbona Wildlife Reserve has unveiled the new-look Dwyka Tented Lodge and Gondwana Family Lodge. Recognised as one of South Africa’s largest privately-owned reserves, Sanbona stretches across 58 000 hectares of the wide open plains of the Klein Karoo, and is known as the Western-Cape’s premier wildlife destination. It is situated close to Montagu in the heart of the Little Karoo, a three-hour scenic drive from Cape Town along Route 62, and offers an authentic safari experience in a malaria-free area. Gondwana Family Lodge also had a total face lift to the 12 suites, as well as the main lodge dining and lounge areas. Offering a family-safari in style, Gondwana welcomes children of all ages and is equipped with a kids’ TV lounge, indoor and outdoor play areas with a child-friendly swimming pool. With mountain views the spacious thatched lodge overlooks the dam and is ideal for groups of friends and families travelling together. Inter-leading rooms are available and all suites come with a comfortable sleeper couch to accommodate a child. Each of the Sanbona lodges offer delicious and wholesome farm-style cuisine, comfortable lounge and relaxation areas, pool decks with swimming pools, and access to spa facilities. The Relaxation Retreat menu presents a range of therapies and treatments, including a steam room at Gondwana and Tilney Manor, for a serene ending to an action packed day on safari. 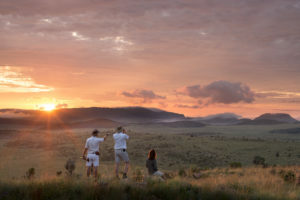 Within the expansive reserve adventure activities includes twice daily game drives or wilderness walks, wildlife excursions and photographic safaris, stargazing and guided rock art walks to offer a superb safari getaway within easy reach of Cape Town. On Heritage Day, 24 September 2018, Bouchard Finlayson is joining the #tastesunshine initiative to encourage South Africans to invite friends around, light a fire for a braai, and share some great South African wines. 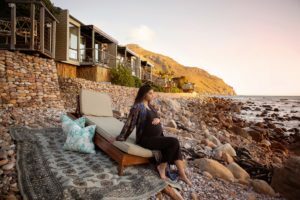 Tintswalo Atlantic has introduced a brand new BabyMoon package for couples wishing to celebrate a pregnancy with a pampering, romantic break before baby arrives. The 2-night package in a luxury island suite includes full breakfast daily and a romantic gourmet dinner on one of the nights, as well as romantic turn downs and a bottle of non-alcoholic bubbly. The package also includes a pampering Mommy-to-Be massage, as well as an on-site 60-minute professional Preggie photoshoot with 60 to 80 digital images. Valid from September 2018 to 30 April 2019, the indulgent Tintswalo Atlantic Babymoon package costs R28 950 per couple. Optional extras to be booked in advance include additional Spa treatments and Mommy-to-be Yoga. Known as Cape Town’s hidden gem, the intimate, 5-star boutique lodge is situated on a pebbled beach at the foot of the Table Mountain National Park outside Hout Bay. A short scenic drive from the Cape Town CBD, it boasts a breathtaking location right on the edge of the Atlantic Ocean. Surrounded by nature only, each of the 11 suites are named after an island – from exotic Antigua and Ithica, to Lamu, Sicily and Zanzibar. Individually decorated with romantic touches, all suites have luxurious king size beds, a lounge area with a wood burning fireplace, and a tea and coffee station with an espresso machine. Spacious en-suite bathrooms have sea views with walk-in showers, his-and-hers basins and huge Victorian baths with a selection of fragrant soaps and bath products. Each suite has a private terrace right on the water’s edge, inviting couples to relax, rejuvenate and breathe in the fresh sea air. With complimentary wifi, in-room massages and room service only a phone call away, couples may never want to leave their suite! Exclusive, luxurious and private – there simply is no other place quite like it to celebrate a pregnancy. 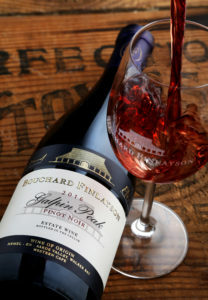 Bouchard Finlayson’s Galpin Peak Pinot Noir has once again been ranked as the top Pinot Noir in South Africa, scoring a full 100 marks in the 2018 South African Wine Index Fine Wine Awards (SAWi). Recognised globally for its quality, excellence and consistency, the Galpin Peak has now held the No. 1 spot for 10 years in a row, this year also scoring the 12th highest points across all categories in the Fine Wine Awards. In addition, Bouchard Finlayson Hannibal was also rated first in the class of Unique Red Wine Blends in 2018, for the intriguing blend of Pinot Noir, Shiraz and Italian cultivars (Sangiovese, Nebbiolo, Mourvédre and Barbera). Collectively these high scores have placed Bouchard Finlayson in the Top 5 Red Wine producers and in the Top 10 Wine Producers overall in South Africa for 2018. 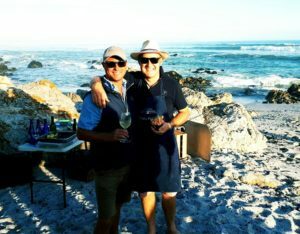 The Hemel-en-Aarde Valley boutique winery, owned by the Tollman family and headed by Victoria Tollman, founder Peter Finlayson and winemaker Chris Albrecht, is also known as one of South Africa’s leading Chardonnay producers. This was once again confirmed by the 2018 SAWi Awards where the Bouchard Finlayson Overberg Crocodile’s Lair/Kaaimansgat Chardonnay received a Platinum rating (96.78), while the Bouchard Finlayson Hemel-en-Aarde Valley Missionvale Chardonnay scored a Grand Gold (94.69). The SAWi organiser says that the system distils the collective wisdom of a multitude of authoritative wine competitions and wine reviews into a single point score which is consistent, and drowns out much of the subjective noise of various judging panels. Through SAWi’s Mathematical algorithm, patterns are recognized making it easy to distinguish wines which are consistently accepted as exceptional. Such wines have special value, especially given the rolling nature of adjudication over multiple years – the consistent performance of Bouchard Finlayson’s Pinot Noirs and Chardonnays being perfect examples of the index at work. Tintswalo Lodges will be opening two new properties in October 2018 with the launch of Tintswalo at Lapalala Wilderness in the Waterberg (Limpopo province) and Tintswalo at Boulders Boutique Villa, a private villa overlooking Boulders beach and its world-famous penguin colony. Completing the current Tintswalo portfolio is flagship properties Tintswalo Atlantic in Cape Town, as well as Tintswalo Safari Lodge and Tintswalo Manor House in the Manyeleti Game Reserve. Tintswalo at Lapalala Wilderness, a family-friendly camp of six luxury tents with private plunge pools will be opening on 1 October 2018. 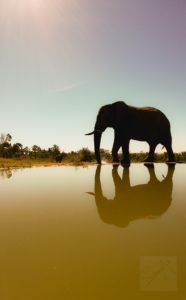 Lapalala Wilderness is situated in the malaria-free Waterberg region, three hours’ drive (or 30 minutes flying) from Johannesburg. Tintswalo at Lapalala is one of only two commercial lodges within 44 500 hectares of untouched wilderness. Sleeping up to 12 adults and four children, the Tintswalo at Lapalala Wilderness camp is environmentally conscious and will be operated ‘off the grid’. The Lapalala Wilderness Reserve was founded in 1981 by conservation champions, Dale Parker and Clive Walker. One of the largest private reserves in SA, it includes 27km of pristine river frontage. With several Research and Breeding programmes of endangered wildlife, as well as its famous Wilderness School, it offers an engaging safari experience and is a champion of sustainable wildlife conservation with the vision to leave a legacy for generations to come. On 1 October 2018 Tintswalo at Boulders Boutique Villa will be opening in Cape Town, surrounded by fynbos and with unobstructed views across Boulders Beach, which is known all over the world for its resident colony of endangered African penguins. With a total of nine double suites, as well as a children’s suite, Boulders Boutique Villa will operate on a bed and breakfast basis, or as a private villa. Exclusive-use options include either four suites only, or the entire villa for groups of friends or families travelling together for extended stays of four nights or more. 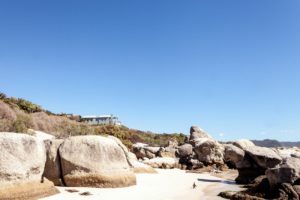 Known for its pristine swimming beaches and the penguins as star attraction, Boulders is located on route to Cape Point. Like sister property Tintswalo Atlantic, it also forms part of the Table Mountain National Park. Thousands of wines from 55 countries were put to the test by a panel of experts in this prestigious competition. Now in its 34th year, the IWC is accepted as the world’s finest and most meticulously judged wine competition which assesses every wine blind and judges each for its faithfulness to style, region and vintage. Throughout the rigorous judging processes, each medal-winning wine is tasted on three separate occasions by at least 10 different judges. In last year’s IWC competition, the 2015 Galpin Peak also won a gold medal, as well as the regional trophy. It was also announced this week that this particular vintage has been included in the coveted Wine Merchant TOP 100 list for 2018 – a competition devoted to wines in the independent trade and judged entirely by specialist independent wine retailers in the UK. Tintswalo Safari Lodge has introduced a wedding package to offer couples the ultimate and exclusive ‘destination safari wedding’. The bridal couple and up to 14 of their guests can be accommodated on an exclusive-use basis when booking the main lodge for a minimum of two nights. The rate includes accommodation in six luxury Explorer Suites (up to 12 guests), plus up to four guests in the Presidential Suite. For slightly larger weddings, another 10 guests may be added to be accommodated in the nearby Manor House. The Manor House is also available on an exclusive-use basis on its own, for more intimate weddings of parties of no more than 10. 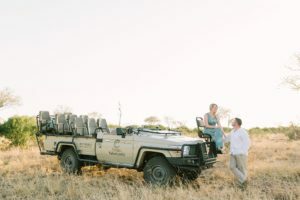 Included in the Tintswalo Safari Lodge wedding package for resident guests is breakfast and dinner daily, romantic turndowns, as well as light afternoon lunch and all local beverages (excluding the wedding reception drinks). Also included is a Couples Hydrobath treatment and a complimentary back and neck massage for the bridal couple, whilst awaiting in the bridal suite on arrival, will be a bottle of sparkling wine, as well as a snack platter and sparkling wine prior to the wedding ceremony. Mr and Mrs may start their married life together in the Baker Honeymoon Suite, which was named after explorers Samuel and Florence Baker who romantically travelled together through wild Africa in the 19th century. The most perfect honeymoon destination in the wild, this private suite boasts a beautiful, hand carved four-poster bed, a plunge pool, and a lavish en-suite bathroom, complete with outdoor shower. Tintswalo Weddings are customised to make every bride’s dream wedding a reality. Setting Tintswalo apart from most wedding venues is the flexibility of set-ups and wedding arrangements, as well as the magical wilderness backdrop that the Manyeleti Game Reserve offers as the finest place to say ‘I do’. A short drive from Hoedspruit and sharing an unfenced boundary with the Kruger National Park, the pristine private Manyeleti boasts one of the lowest vehicle densities in the Greater Kruger region. Here Tintswalo Safari Lodge guests are spoiled with uninterrupted Big 5 game viewing experiences in an untouched African wilderness. As the bridal couple will enjoy exclusivity of the lodge, several breathtaking open-air venues are available for the wedding ceremony, including a Boma set-up, the Riverbed in front of the lodge deck, or the Open Savannah in the heart of the bush. This may be followed by a glamorous wedding reception in the opulent dining room, ‘al fresco’ on the deck, or a long table for up to 30 guests at Tintswalo Airstrip or overlooking Wild Dog Dam.